In May 2014, I landed back in the American West after nearly two decades roaming and writing about the European continent. I’d taken a job as a new staff writer (the position didn’t exist before I filled it) chronicling the West’s vast and varied territory for the Rural Community Assistance Corporation (RCAC), based in California. The nonprofit was founded four decades ago upon the principles that guided Cesar Chavez and his farmworker housing movement, but in intervening years, has—very effectively, I might add—taken on more causes such as clean water, affordable housing and economic development. I found myself suddenly having to come quickly up to speed on subjects as diverse as California’s menacing drought, housing for homeless veterans on a Montana Indian reservation, water rights in Alaska, and fracking in New Mexico, among other compelling and complex stories. In trying to get a handle on the bigger picture of my stories, and the people behind them, I spent one afternoon dutifully reading a U.S. Department of Agriculture (USDA) report based on the 2010 census and in connection with it, an overview of the Farm Bill passed by Congress in February 2014. In this report, I came across two sentences, as brief and matter-of-fact as you would expect to find in, well, a USDA report on census numbers. They were, in essence, this: In the past three decades, the number of women-operated farms has increased substantially in the nation. 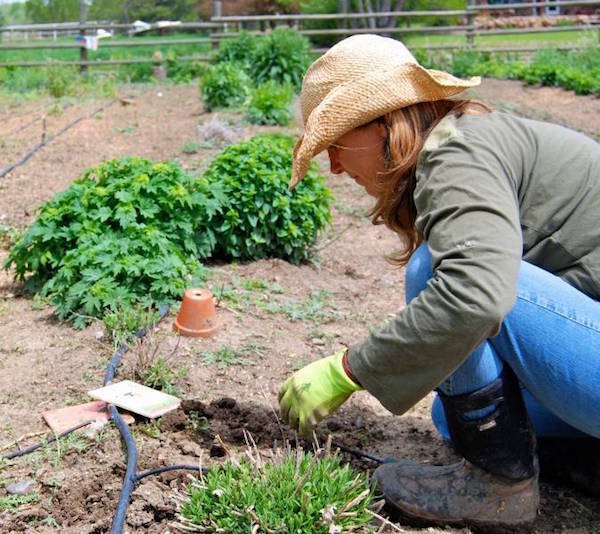 Between 1978 and 2007, according to the agency’s Economic Research Service, the number of women-operated farms in the United States grew from 306,200 to nearly a million. My interest was instantly piqued: “Who are these women?” I wondered. My mind’s eye filled with sepia images. They were of Willa Cather’s lonely and moody heroines on the endless Nebraska plains. There was the iconic Isak Dinesen, my own heroine: betrayed and bankrupt and yet silently, painstakingly detailing the crucible and hope of her Kenyan coffee plantation, alone. I thought about what would motivate a woman to take on an enterprise like a farm today, in America, knowing full well the financial risk and unavoidable, back-breaking work. My first port-of-call was the USDA’s Economic Research Service, and after some twists and turns, I found my way to James Williamson, one of the lead economists/statisticians who had authored the report. After he explained to me how the numbers were derived and interpreted, I pressed for more detail, again: Who are these women? By great luck, at about this same time, I had been connected through a journalism forum to Geoff McGhee, who directs the media fellowships program at Stanford University’s Bill Lane Center for the American West. During a phone call in August 2014, he was curious about my writing and work, and I mentioned what I was learning about the increase in women farmers and ranchers. He was just as intrigued as I was, and he encouraged me to apply for a fellowship, which would be more in the way of a travel grant, allowing me the time and resources to travel the American West so as to find and meet the women who work the land. By November, and with the support of RCAC, I had a formal proposal in place, and had also, by contacting the Center for Land-Based Learning in Winters, Calif., started developing a valuable database of farming and ranching women across the American West. This included a description of their land, whether they owned it and what it produced; whether it was profitable; their marital status and their ages and if they had a succession plan, the latter point being of particular interest to the USDA, I would later find out, in light of national food security. In December, I learned that I had been awarded the fellowship. By then, my collection of Femme Farmers and Madames Bovine, as I’d come to call them, was numbering in the high dozens and growing daily. I had joined an online forum for farmers in the West, and by following conversations and seeing posts from women, I would contact them directly, explain my interest in their work and ask if they would meet with me. Every woman I contacted knew others, and those women knew others and so forth. Moreover, I was finding that everyone—friends, colleagues, acquaintances—I mentioned my rapidly expanding project to expressed the same reaction: Who are these women? Come early 2015, I was about to find out. The first six months of the year, my solo travels would lead me along thousands of miles, through deserts and sagebrush badlands, acres of every crop imaginable, over and through the Rockies and Sangre de Christo Mountains....and there was, too, a white-knuckle, death-defying drive along Wyoming’s Absaroka Range during a snow storm and through dense fog patches that still, months later, gives me pause. I traversed the flat dusty New Mexico and Arizona border regions, and braced myself through blinding thunder and lightning storms that shook and ripped open Wyoming’s seamless heavens. I side-stepped a half dozen rattlesnakes during my stays in Colorado, and grew accustomed to truck-stop cuisine and ratty dead-end motels. On these long, silent drives, I thought about the women I was meeting, and their remote, pastoral worlds. My travels were conducted by jeep, Kubota and Polaris tractors, commuter plane, island ferry, and included—importantly— long walks with women in the fields and across their ranches as they talked to me about their lives and work. I trailed women sheep ranchers on the verdant islands of Washington’s Puget Sound and Olympic peninsula, and in eastern Oregon and Colorado’s San Luis Valley. I weaved through the vineyards with so-called Vit-Chicks (women viticulturalists) tending the world-renowned Napa and Sonoma wine-growing fields, and I shadowed lavender and peppermint farmers in central California. I spent time in northern California’s Surprise Valley, where a retired geology professor has reinvented herself as the region’s most legendary goat farmer, her cheese revered for its rich, smoky texture. I met taciturn, take-no-prisoner cattlewomen in Montana, Colorado, and California’s Central Valley, with gnarled hands and leathery faces, who limp following years of being thrown from mustangs and from week-long cattle drives, and whom I safely predict will die on their horses, absent regret, wed to the land. I spent a very memorable few days at the Abbey of St. Walburga, on the Colorado-Wyoming border, where the Benedictine nuns there hold tight to a centuries-old calendar of silent prayer and service, but who also have made a name for themselves in raising cattle, chickens and water buffalo so as to support their monastic lives. By mid-2015, I had spent a total of two months on the road, shuttled through eight states and had met with nearly 50 women. Meanwhile, I observed what researchers today cite as possible reasons for why women have entered the field, so to speak, in such great numbers over the past three decades. Certainly, the appeal of the farm-to-fork movement has attracted many. Women, too, have inherited farms and ranches, or else have downsized to smaller parcels, making the work more affordable and manageable. Farming, too, has become so mechanized, making it easier for a woman to farm and ranch on her own. During my stay at the Abbey of St. Walburga, I had the great coincidental fortune of meeting author Marcia Meredith Hensley, whose “Staking Her Claim: Women Homesteading the West” informed my own research, lending perspective on how eagerly women hit the open road and undertook challenges in the last century as they do now. They weren’t always helpmates, but rather oftentimes trailblazers in their own right, renegade entrepreneurs at ease with their solitary lives on the open range. These women have, unfortunately, been largely overlooked by historians. On the other hand, I also found that the nature of agricultural financing is such that, in some cases, it is absolutely essential to have a spouse or partner who can bring in a steady income should the vagaries of weather kill the crop, as it were. This fact made the older women I met—who were born to the farm or ranch and had eschewed marriage and children, choosing instead to dedicate themselves to what they felt their higher calling—all the more very impressive to me. Our visit occurred early on in my travels, in January 2015, and at that time two films were premiering nearly back-to-back—“Wild” and “Fifty Shades of Gray”—with each presenting polar opposites of the feminine: the emancipated and the submissive. The women I was meeting, by contrast, fit neither genre precisely, nor were most of them particularly eager to debate women's rights. They don’t have time. They have work to do. The fellowship requires that I produce journalistic work based on my findings. A story based on my year's worth of research appeared in January 2016 in The Washington Post and can be read here. My story on the nuns at the Abbey of St. Walburga was published in October 2015 in High Country News and syndicated in The Colorado Independent. Both The Daily Yonder and Catholic Rural Life have featured my fellowship work in their publications. Another story, broader in reach and focusing on food and where it comes from, is in the works for a separate international publication. RCAC has also published an overview of the work, reflecting a year of reporting—you can read that here. Meanwhile, I continue to meet with women throughout the West, as interest in the project grows, as do their numbers, and as they quietly farm and ranch the region’s wild lands. 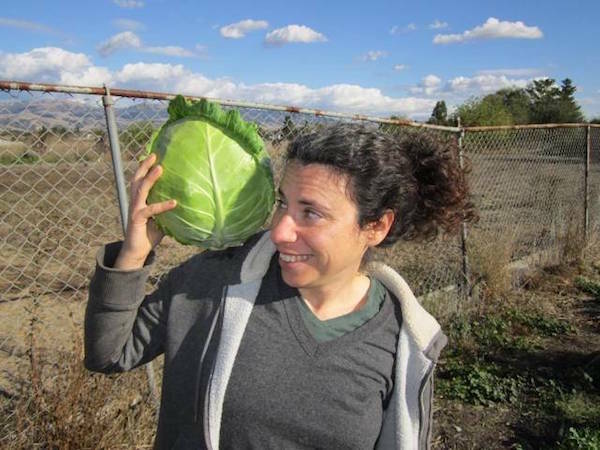 For more information about Elizabeth Zach and The Femme Farmers Project, click here.